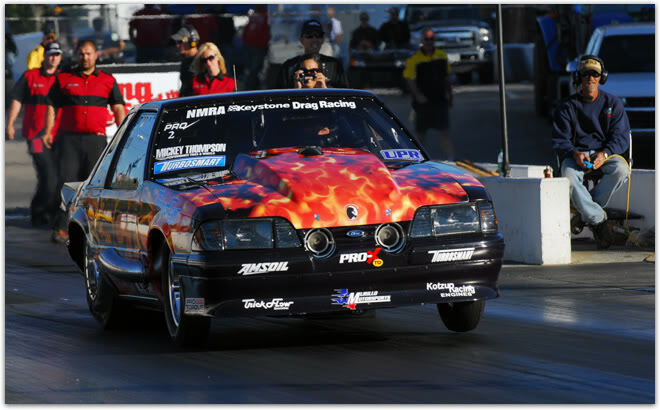 The NMCA Flowmaster Muscle Car Nationals is proud to announce that we're featuring a free ticket giveaway in the form of a sweepstakes to NMCA's season opener in Bradenton, FL, which is held on March 15th-18th, 2012, at Bradenton Motorsports Park. Fans and racers alike can enter the sweepstakes by visiting NMCA's facebook page and clicking on the "Sweepstakes" tab just under NMCA's profile picture. This sweepstakes will last until March 7th, 2012, and everyone is invited to join in! The grand prize features 2 weekend-long VIP tickets with VIP parking with 2nd place and 3rd place also receiving regular admission weekend-long tickets and regular admission day tickets respectively. DFW Lonestar Muscle Main Event Meet Nov 13th!! Quick Reply: Win Tickets to the NMCA Muscle Car Nationals Season Opener!